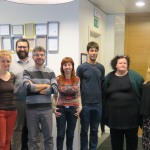 From the 5th to 9th of March IASIS NGO welcomed the project’s Training for Trainers in Athens! 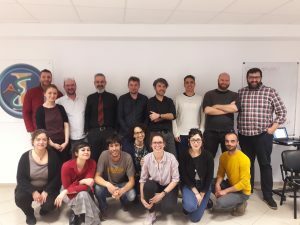 13 Trainers from all the partner organizations from Belgium, Italy, Spain, Germany and Greece joined the Training for Trainers week. 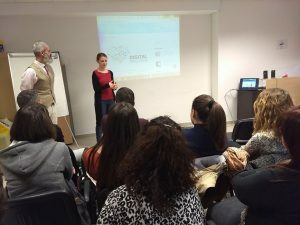 The aim of this TfT was to train each other in digital methodologies and psychosocial support for refugees, to learn how to implement the WELCOME training programme. 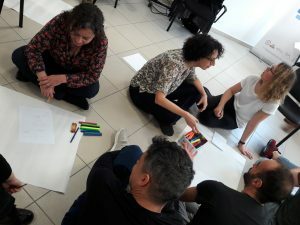 Trainers from the partner organisations brought their knowledge and experience to share it with their colleagues and mutually exchange their training practices. The training modules involved digital topics such as coding with scratch, digital journalism and digital storytelling, as well as soft skills and employability awareness. Through non-formal education we established a fun way of learning from each-other throughout the week. 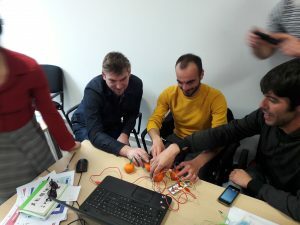 On the 6th of March, the trainers did a study visit to the Youth Center CONNECT ATHENS where presentations about the daily function and practice with youngsters were showed. 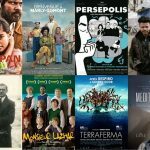 CONNECT ATHENS opened in January 2018 and is run entirely on a volunteer basis by young people for young people. Parters had the chance to get an insight into youth work in Greece, which is very well developed but not sufficiently supported financially. On the 8th of March, WELCOME partnership, attended the Round table organised by IASIS NGO, regarding immigration issues and good practices, involving counselling professionals and social inclusion stakeholders from Athens. 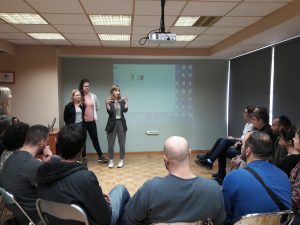 Local stakeholders were interested in the Digital WELCOME training programme, and on the other hand, shared their experience and insights from working directly with the target group of our project – refugees and asylum seekers. This helped all partners to better understand the particular situation of refugees and asylum seekers in Greece, and the issues that professionals working with them face. After this training, trainers will continue to study and support each other, to get ready to facilitate the training for young refugees. Based on peer methodology, young refugees between 16-30 years old will themselves become young mentors, able to organize workshops for their peers as well as people from the local community. 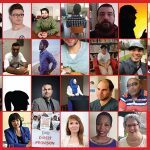 The young mentors who will complete the programme, will produce digital stories in order to share their experience. 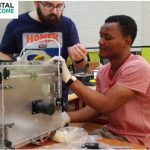 The digital stories will be shared with their peers to motivate them to be volunteers or to participate in educational, social and cultural activities, as well as to become aware of the creation of integration activities for people from other countries. In this way, they also develop their skills and abilities for a job that requires high technical skills.